90% of traders lose money. Does that make trading impossible? Nope. Financial speculation is a great way to build wealth... you just need to make sure you're on the right path to profitability. But most don't know how to get there... how to get from losing to breakeven to winning. If you follow these 9 tips then you will end up on the winning side of trading and investing. This is the first and most important thing you can do. It's also the most difficult for people to do. It can be tedious work, and if you are a losing trader it can be painful to see your performance over time. But if you can't measure your performance, then you can't manage your performance. The Stock and Strategy. When you get enough data, you'll find specific stocks you should completely avoid, and perhaps a sector you should specialize in. The Stock Characteristics. What was the volatility of the stock at the time? How far was it from all time highs? Was the 50 day moving average up or down? By tracking key technical indicators, you can see if you are a better trend or counter trend trader, and whether you should look at high volatility or low volatility stocks. Your R Multiple. This is how much reward you pulled out relative to the risk you took. We'll look into that in just a little while. What Option Strategy You Chose. There is no best option trading strategy, but there is probably a best for you. Maybe you are better when you are buying calls and have a limited risk, or you have a smoother risk curve if you only sell spreads. The Trade Source. If you subscribe to trading services, you should track how well those trade alerts are working out for you. If they consistently underperform then you should consider leaving the service... or taking the other side of the trade. The goal of this exercise is to get enough data to figure out what needs to be cut out of your trading. Trying To Fade A Catalyst. Either you are trying to short a momentum stock that just had amazing earnings, or you are shorting volatility into an event like earnings. Getting Chopped Up Daytrading Weekly Options. In an attempt to make returns fast, you focus on the short term and use a fantastic amount of leverage with a very high time decay risk. Daytrading weeklies can be profitable, but you end up overtrading and looking for large moves in a stock that doesn't go anywhere. Normally if you can get rid of these two kinds of setups, you'll go from a losing trader to a breakeven trader. This isn't always true for everyone-- that's why it's so important to get your trading journal setup. If you already have a lot of trades completed and are feeling overwhelmed with going back through a ton of trades, then I would highly recommend TraderVue. TraderVue was started by an IWO Premium grad who wanted a better way to track his daytrades. He's built out a great tool that allows you to import brokerage statements so you don't have to build out a trade journal by hand. 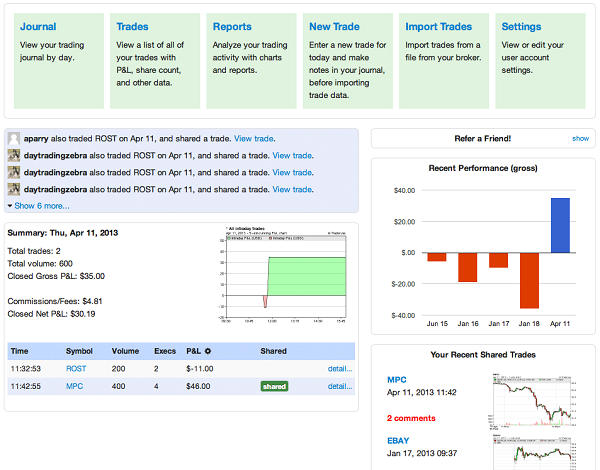 You can then sort trades based off of setup, and can even have a trading coach come in and review your trades for you. If you trade a lot of complex option spreads then it can become a little more difficult to manage, but if you are an active trader in stocks, futures, and forex, then you should give it a tray. If you want to just start with a simple spreadsheet, then click here to download a sample Options Swing Trading Journal. By naming your setups, you can create performance categories in your trading journal. You can then see if one category is significantly outperforming the others, maybe it's a good idea to focus on those trades over the others. Since I've categorized my setups, I can go back and see how each category performs over time. I know that retracement patterns work better in high-reversion markets, and breakout patterns work better in trending markets. As another example, my friend Kunal from BullsOnWallStreet has something called an "ORB" pattern when he trades momentum stocks. He's found a pattern that makes him money consistently and named it so he knows how well that particular strategy is working. If you're more into the quantitative side of trading, it's still important to name your setups. When you run your backtests on a VWAP reversion trade or perhaps a stat/arb pairs trade, it's crucial to keep them separate from one another so you know how each is trading. By naming things, you give them power, and you have a stronger ability to track the kinds of setups in your trading journal. Important Note: If you don't have a name for a setup yet, that's OK. I like to label these "impulse trades," because normally it's a stock I found that I just felt was going to move. I don't always know why but sometimes there are patterns that I recognize but don't have much experience in. Sometimes these impulse trades work out, sometimes they don't. As I get enough data I can start to categorize them with a new name so I can track them better. If you trade with an institution or at a prop firm, there is someone who acts as "risk manager." They make sure that you don't expose the firm to too much risk when you are putting on trades. To help you succeed, these risk managers will often bake in risk limits into your platform. For example you may have a daily risk limit of $300 per day, so if you lose that much your positions are closed and you move to a simulated account for the rest of the day. These risk limits can be daily, weekly, or monthly, and the level increases as you become more successful and put on size. This may seem unfair, especially when you see all your positions closed and then the stocks start to work in your favor. But it's to protect you against one of the biggest mistakes traders can make: cutting your winners short and letting your losers run. If you are a retail trader you aren't afforded automatic loss limits. For some reason, brokerages don't have this built into their software so you will have to do it on your own. While you can't set daily loss limits as a retail trader, you can use stops. If you are a futures and forex trader, you end up trading the same instruments over and over. As time goes on you get a feel for how fast a market can run and where you need to place stops. These markets have incredible amounts of liquidity and trade overnight so automatic stops are relatively straight forward. 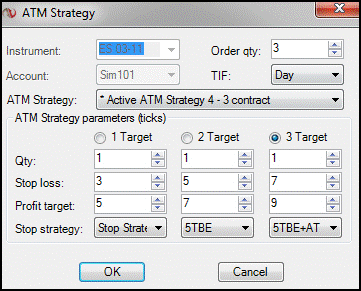 Above is an example of setting up an ATM strategy in Ninjatrader. You can define how many ticks to use for a stop loss, and where to take profits. Stock trading can get a little more complex. Different stocks have different volatilities so your stops may end up being wider for a stock like BIDU compared to a stock like JNJ. Some people like to have fixed stops as a percentage of the stock, say a 3% adverse move for swing traders. I think this is dangerous and bad risk management. If you use technical analysis with your trading, your stops are based off the charts. Examples include using a moving average breakdown, PSAR stop, or a violation of a price pivot. These are much better than an arbitrary percentage. Once you find your stop, you can work backwards to find your position sizing. It makes sense to be consistent in your risk per trade, but you can't figure that out until you figure out your stop. 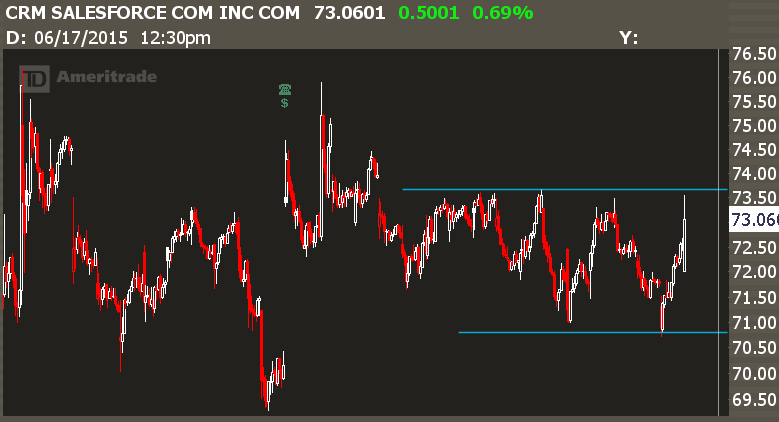 The stock has the potential to breakout if it clears 73.55. Perhaps you want to trade a breakout, and will use the lower end of the range at 70.74 as your stop. 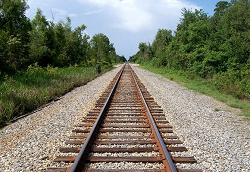 This means that your "per share" risk is the difference between your entry from your stop. With our example, that gives you a per share risk of 2.81. With this number, you can figure out how much size you are willing to put on. If you have an account size of 50,000 and you're willing to risk 1% per trade, that means you have a max risk of $500. To find the maximum number of shares you're allowed to have in this trade, simply divide the max risk by the per share risk. That puts your max size right around 177. This is just a basic overview of simple position sizing with stocks. Once you develop more consistency, then you can change position size as a function of different setups, and change size according to how well you are doing-- don't discount the ability to go on hot streaks and cold streaks. Automating stops is more difficult to do with options, because the liquidity is lower and the slippage you could incur from a market order could be significant relative to the price of the option. One solution is to structure your option trade to have a fixed risk, like a vertical spread. By limiting your risk, you effectively "bake in" a stop. The other solution is to take what we learned about the per-share risk with stocks and convert it into "per contract risk" with options. Let's take an example - I want to get long calls in GS, so I choose a Nov 160 call for 5.15. By looking at my risk analytics, I know that each contract will lose $215 if GS breaks 155. Therefore my Per Contract Risk is 215. With my max risk per trade at $1,000, I know that at most I can buy 4 contracts. As time goes on, the risk in an option changes. You probably know about theta which is the change in the value of an option over time. But there's another greek called charm. It's the change in the directional risk over time. Simply put, with options you can't just have stops based on price -- you must have stops based on time. If you are long calls and a stock isn't moving then you have to consider either rolling the trade out in time or closing the trade for a loss. Options income trading is a different set of strategies compared to swing trading, so you have to manage risk differently. But it can be automated. 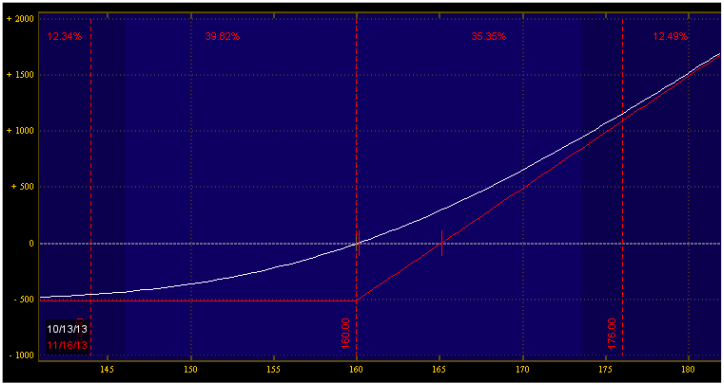 The biggest risk in an income trade is the total directional exposure you have on... your net delta. When you put an income trade on, it's best to figure out what maximum delta you are willing to have, and figure out at what prices that the delta will come into play. This is called "delta band trading." Once you find these levels, you can then plan adjustment strategies to manage your trade. There are other ways to take the guesswork out of when to adjust your trade. If you are an income trader, it's a good idea to have a maximum level of directional exposure in each trade, and when your risk gets too high, you adjust your trade. It can be incredibly difficult to focus on your best setups when you have 6000 stocks trading all at once. Yet focus is one of the most crucial characteristics you must have if you want to be a consistent trader. ...but you need to focus on the strategy that works for you. Make sure that you have the right stock screeners in place so you are only looking at stocks that are showing signal and not noise. If you had a professional NFL player that didn't watch tape, or train in the offseason, or run drills with his team, he wouldn't be around for very long. 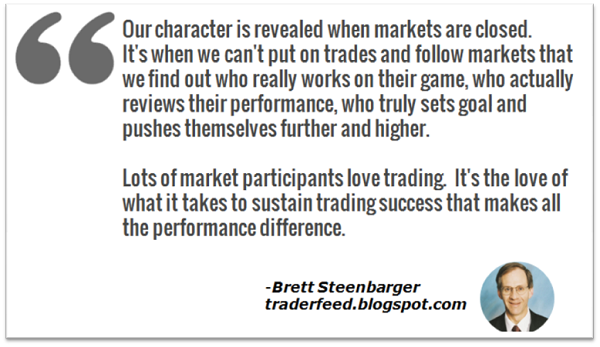 What makes trading any different? Financial speculation is the most competitive profession that's available to anyone. There's no training required to open a trading account, just capital. And it's possible that the person on the other side of your trade is the most well-capitalized player with a research team and quant servers located 20 feet from the trading exchange. That may seem hopeless, but the beauty of the markets is that retail traders have the advantage of getting in and out of positions very quickly. But you still have to do the work. If the only time you're looking at the markets is during trading hours, it's possible that you're using the stock market as a form of procrastination at your day job. But if you're taking time on the weekends to do stock research, review your trade journal, and get setup for the week ahead, then much of the trading day is full of automatic executions based off your trading plan. It gets more boring, but you become more consistent. If you feel like you don't have enough time, consider these tips to help you out. This may seem obvious, but it still has to be said. Are you sure the trading strategy you are using can actually make money? Many people can't answer that question, because they don't have a trading journal to track how certain trade setups are performing, and they aren't putting in the work while the market's closed to make sure that they actually have a good trading system. Execution. If you trade intraday and all you do is buy at the market, those extra five or ten cents can continue to add up during the day. Scaling. Maybe you shouldn't go in full size on a trade initially because you tend to be early. Or perhaps you should scale out half of your position aggressively and trade around a core position. 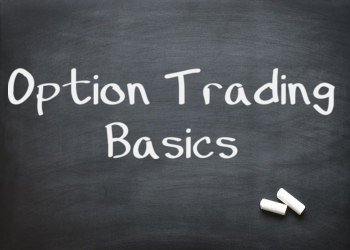 There's more to a trade besides entry and exit, and these tweaks can give you an extra edge. Overall Size. It's possible that you aren't trading enough size on each individual trade. When you trade small and you aren't getting large returns out of each trade, then you try and put on too many positions at once and it spreads you thin. I've found that in my experience, I need to go in size more on my option spread sales, and utilize a scale in approach with them so I'm comfortable with that size. On the other side of the coin is that you don't have a profitable trading system. The funny thing is, if you go back through your journal and find a system that is doing terribly, it's possible to just flip the trade around to make it profitable! If nothing else seems to be working right, you may need to test you underlying assumptions or consider the source of the setup. Some older trading books teach setups that work great during markets like 2008-2010, but perform terribly in low volatility environments like 2004-2006. This is one of my favorite concepts that is not talked about enough. The "R-Multiple" is a concept I first read about in the book "Trade Your Way to Financial Freedom." It's a corny title but is full of great information. Your portfolio size varies every month, and if you want to be consistent you need to size appropriately relative to how large you are trading. That means as your portfolio grows you need to increase your size, and reduce size if you are losing money. By removing the concept of "size" from the equation, you are buffered from the psychology of risking money. Let's say you enter a trade, plan your stop with a per share risk of 2.25. Which means if the stock moves against you by $2.25, you exit the trade for a loss. And the stock runs with a $5 move. That's the trade outcome. The R-Multiple for this trade is: 2.22R. Once you start tracking your R multiple over many trades, you can start adding and averaging the results. By taking the average, you can figure out the R-Expectancy. For example if you have a system with a 2R expectancy, it means for every $100 you risk you should expect to make, on average, $200. You can also look at the odds of success and compare it to the R expectancy. 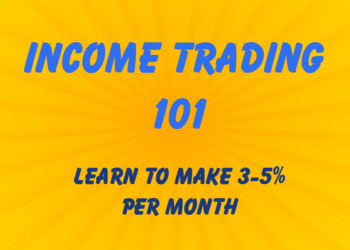 For income trades like iron condors, you will have a lower average R, but a higher odds given the trade structure. If you are daytrading, sometimes you can end up with outcomes up to 6R, but the odds of success are much lower as you are very aggressive with your stops. And as you tweak your system and execute on it better, the R-Expectancy should continue to improve. If this starts to flatline, either the strategy is maxed out or you have stopped improving. If you look at a trade, plan your stop, and then consider your upside, you may find that the expected reward relative to the risk you're taking is too low. You'll either need a tighter stop, scale into the trade, or pass on the trade. You can also look at your R multiple against different strategies to see which trades are working best, and which are the most consistent. If you have a strategy that is breakeven at best and you see trades at -3R, it means you didn't plan your risk right and you held onto the trade for too long. If you can eliminate those ugly trades, then you turn a breakeven strategy into a profitable one! What Makes a Good R Multiple? This really depends on the strategy you are using. 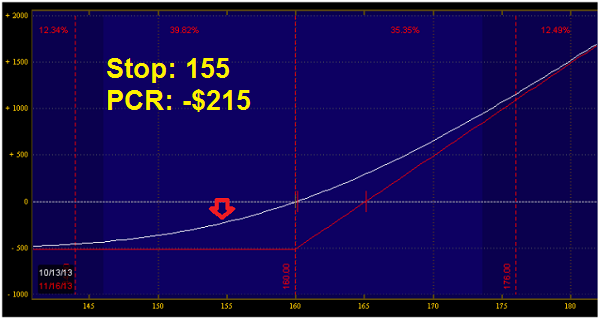 For iron condors and spread sales, a good R multiple to shoot for is 1R. That may not seem like a lot, but because these are high odds trades the expectancy is positive. For long calls and puts, you should be looking for at least 3R, otherwise the trade isn't justified because of the time decay risk, and you should look at a less aggressive trade structure like verticals. As an individual trader on your own, it can be very frustrating and lonely when you aren't performing well. Unless you live in a major financial hub you won't get much of a support network physically. And you won't have help from a risk manager unless you are on the institutional side of trading. The first thing I would do is start with social media, but be smart about it. 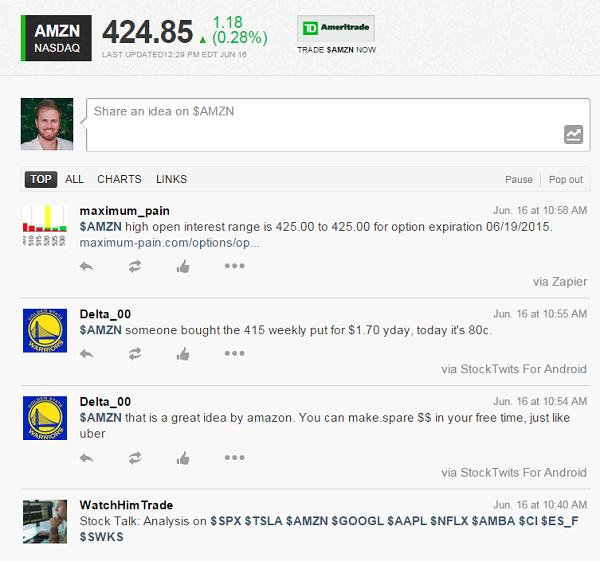 If you aren't on Stocktwits, go ahead and join. The goal here is not to look at every single trader but to focus in on those who match your trading style. At the end of the trading day or during lunch, go onto the individual boards of the stocks you trade. From there go through the next few dozen posts on that page. If you find a user that doesn't contribute anything, then block them-- be ruthless about it as they aren't of use to you. Once you sift through the noise, you'll generally find two or three people who provide actual value. Normally it's the people who post charts and links, not the people who write out 8 words every 10 seconds. As time goes on, you'll have a curated group of traders that match your style, trade the same stocks as you, and provide value. You can ask these people questions and they'll help you on your way to becoming a better trader. Here's An Advanced Tactic: This is a little sneaky but can work well. If you look hard enough, you'll find people that are consistently early with their trades. You can create a separate account just to follow these people and look for fading opportunities against them. The best way to find them is to high social volume, momentum stocks and stocks that are moving big on the day. They're pretty easy to spot by the amount of emotion they have invested in an individual stock. I am a little biased here, because I run my own trading community at IWO Premium, but I do believe that if you find the right group, it's well worth the investment. Going Beyond Stock Tickers. If you go into a chat room and all anyone does is float stock tickers out without any mention of risk or position sizing, it's probably a community that has a high churn rate because people are getting blown out. Make sure when people talk stocks they talk stops, too. Practicing The Craft. Will you do better if you scale in? What if you sit on the bid instead of running market orders? Can you get market rebates by routing through EDGE? How can you walk down an order on the RUT options board? There are so many nuances in financial speculation besides picking a stock. Make sure that there's some kind of focus on that. Stay Away From The Noise. If people are throwing out trade ideas without any sort of prep outside of market hours, it's harder to follow those trades as you haven't done the work on them yourself. You need some kind of trade review and prep to start your day. Most investors and traders have good systems, they just don't execute well on those systems. Review your trades to see what's working. Then you'll see a vast improvement in your performance. 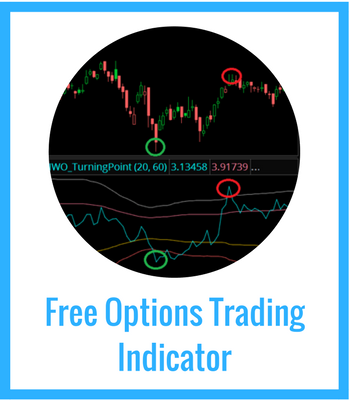 If you're an options trader that is looking to improve, or if you're just starting out with options, Join me at IWO Premium so I can help you become consistent, happy, and profitable.